Two things I need to mention here. First, I’m sorry for all the strawberry recipes. It’s just that time of year and, well… it’s just that time of year. Second, I don’t often throw around words like “best,” but this time I mean it. You know how much I love the ease of a sheet cake and here we have my most favorite strawberry version. I’ve been tweaking this recipe for some time until I got it right where I want it. The cake is light and fluffy, but super moist and the icing is the perfect sweetness. I just love this cake. I mean LOVE it. Like it ate two pieces while trying to photograph it. There’s no shame. It’s that good. Now go make it so you can see what I’m talking about. Wash and hull the strawberries and gently puree them in a food processor, blender, or with a hand (stick) blender. You want them to be good and chopped up but not all liquid. You will need 1 cup of this puree for the cake and 2 tablespoons for the icing. This should make more puree than you need. However, if it doesn't, pour the puree into a measuring cup and add just enough water to make 1 cup plus 2 tablespoons. Preheat the oven to 350° F and lightly spray a 9X13 baking pan (or dish) with nonstick cooking spray. In a large bowl with a hand mixer (or in a stand mixer), mix together the cake mix, eggs, and vegetable oil until well combined. Open the gelatin and measure out 1 teaspoon into a small bowl and set aside for use in the icing. Pour the remainder of the gelatin and 1 cup of the strawberry puree into the batter and mix well. Pour the mix into the prepared pan and spread evenly. Bake for 30 to 35 minutes or until a toothpick inserted in the center comes out clean. Allow to cool completely before icing. In a large bowl with a hand mixer (or in a stand mixer) cream together the butter and cream cheese until well combined and all lumps are gone. Add the vanilla and mix well. Slowly add 3 cups of the powdered sugar separately mixing well after each addition. Add 2 tablespoons of the strawberry puree and the reserved 1 teaspoon of strawberry flavored gelatin and mix well. Add additional powdered sugar if the icing is too thin. Spread over the cooled cake. Store in the refrigerator. My favorite cake is caramel Cake immediately followed by Strawberry Cake!! I can’t wait to try your recipe for Easter!! Thank you!! Hope it turns out great for you! I’m assuming that’s 3/4 “cup” vegetable oil? I plan to make this tonight! Hi Stacey! Thank you so much for the strawberry sheet cake recipe! I’m leaning more to sheet cakes as they are so much easier to prepare! Have a wonderful Easter! Blessings from Bama! I know, I’m the same way. I love a good shortcut! I sure hope you’ll enjoy this one! Can you use frozen strawberries and if so, chop frozen or thaw first? Thanks for your help as I am anxious to make this and have plenty of berries in the freezer. Sure! You’ll just need to thaw them and puree them ensuring you have 1 cup plus 2 tablespoons of puree for the recipe. I sure hope you’ll enjoy it as much as we do! Actually there are three standard sizes of “sheet” cake pans – whole, half, and quarter. This would be closest to a quarter sheet, but the recipe is correct at 9×13. Regardless of the sizes of the pans, they are each referred to as sheet cakes because they are made in one layer verses multiple layers like a stacked cake. So if I want to use a half sheet cake pan I should double your recipe? Nope, it is a 1/4 sheet. This was an AWESOME cake. I say was cause I keep nibbling along with the rest of the gang. Made it for Easter Feast it make a beautiful cake that smells great. I have tried other fresh strawberry cakes and have been so disappointed. I am thankful for your diligence in tweeking till it is the “Best”. Keep on keeping on, your on the right path. Thanks so much! I’m so glad you enjoyed it!! Hi Stacey…I’m a loyal follower of your blog. 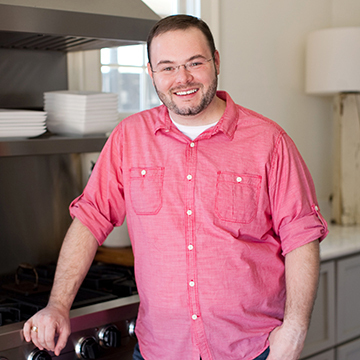 I love your stories and your recipes. birthday tomorrow. Strawberry is always her favorite and I know she will love this. 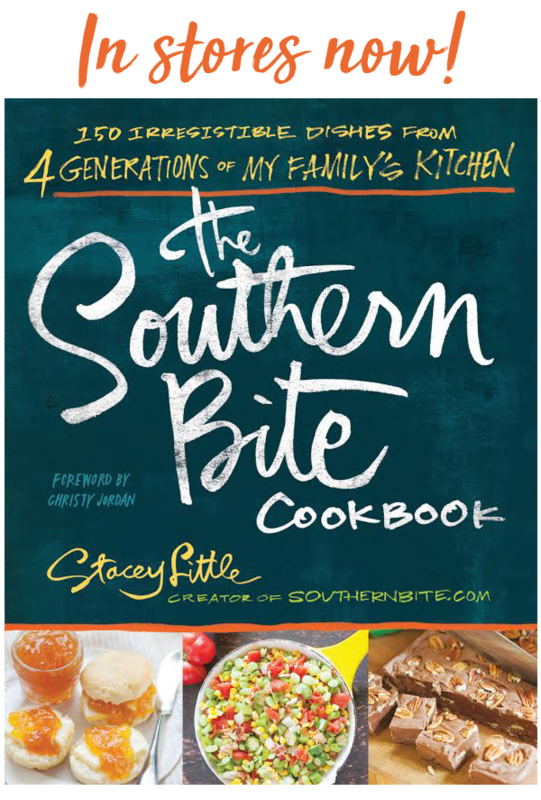 Thanks for all the words of wisdom and the great recipes. On my goodness! What an honor! Please tell your mother Happy Birthday for me! I sure hope y’all will enjoy!!! Great ideas, Betty! I sure hope y’all enjoy!! Can you tell me what strawberry purée is that is called for in the icing? I can’t wait to make this. My strawberry layered cakes always slip and slide! This cake is absolutely divine. Made it exactly as the recipe called for. It was perfect and one of the best cakes I have ever made. Delicious!!!!!! That’s the best compliment I could get, Jennifer! So glad you enjoyed it!! Hi Stacey, Happy Spring……….Well you just made my day once again. About 40 years ago when I was working at a club there was a waitress at that time already in her late 70’s and of course everyone’s favorite. She started a tradition of making me a strawberry layered cake with strawberry icing all made from scratch. She even made the cake for me when I went away to college and one year I was in the hospital on my birthday and she still would make sure I got my cake. She never shared her recipes though. I figured out the icing but I could never figure how she made the cake. I tried so many different ways but it was never the same. I never thought of using strawberry gelatin in the cake or the icing. but I’m guessing that is how she made it. I can’t wait to make it. Millie was her name and she was a wonderful women. She passed away about 30 years ago and I think of her often, especially on my birthday’s. Thank you for sharing your recipe with all of us. I love your passion for cooking. I love that you go for the down home flavors and comfort food. Thanks so much, Cheryl! I sure hope you enjoy the cake! What a sweet gift! So glad you’re enjoying it! Hi Stacey just wondering can you bake this in a bundt pan? I’ve never made it that way, but can’t see why it wouldn’t work. Are you planning to use the same icing? My daughter requested a strawberry cake for her 4th birthday party – this looks perfect, thank you! I sure hope she’ll enjoy it! Happy Birthday!! It was a HUGE hit today, thanks again. Doubled the recipe and baked it in a half sheet cake pan. Awesome, Laura! I’m so glad it turned out well for you! Wow! I was looking for something like this. But can I use something other than vegetable oil? Also, can I use flour in place of the box cake mix? You are welcome to use melted butter in place of the oil, I would just add a tablespoon or two to account for the solids in the butter. When it comes to changing the cake mix to flour, that’ll require a bunch of other changes and being that I’ve not tested it that way, I’d hate to recommend it. I made this last Friday to celebrate on Saturday, people loved it!! I used a different icing, but the cake itself was the hit and it was so, so easy! It was very moist and flavorful. TY! Awesome! So glad everyone enjoyed it!! No, this one really needs to be made with fresh berries. Otherwise it would be too sweet. This looks great, however I want to make a layered cake. How would I go about doing that with this amount of batter- would it turn out the same if I just adjust the baking time and split it between two round cake pans? Honestly, I’ve never done a layer cake with this recipe. My boss is not a fan of chocolate, so I am looking forward to making this and bringing her a piece. Sounds delicious! Just wanted to let you know that I made this cake for my daughters 4th birthday and everyone LOVED it. Made it exactly as stated, but put cut strawberries on top for decoration. Thank you! Awesome, Jessica! Nothing makes me happier! What brand of white cake mix did you use? I would like to make this for my daughter’s birthday. Thank you! I usually just use what’s on sale. I often use the Pillsbury Moist Supreme, though. This recipe looks great! could I make them into cupcakes? I made this cake last year for a family get-together—–YUM!!! It was soooo good. I think it disappeared faster than any cake I’d ever made. Just looking at the picture makes me want to make it again. That’s quite the compliment, Beverly! So glad you looked like a rock star!! This looks so good!! BCould I use pilsbury strawberry box mix, it’s all I have? Sure! Even more strawberry flavor! No milk (or water) for this recipe? 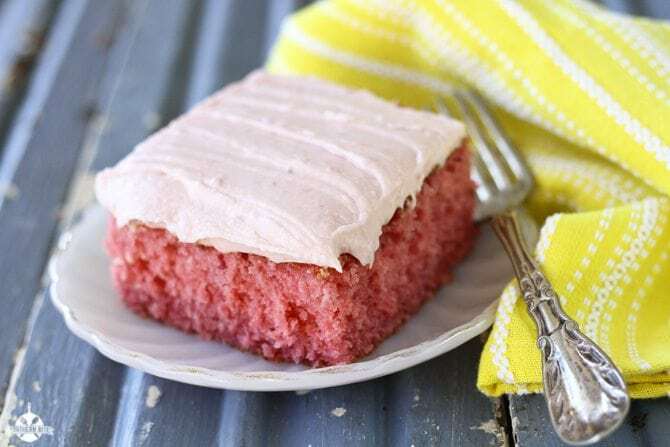 I’ve seen several very similar strawberry cake recipes using a white cake mix & pureed strawberries, but they all also call for some milk or water. Thanks! Nope. The moisture from the puree and the oil is all you need. I was just at a luncheon for the Mayor and one of the deserts was a strawberry cake. It was like yours so I am going to make it tomorrow I hope. And I will let you know, it sounds delish. Can I use a yellow cake mix instead of a white cake mix? Can this be made on a quarter sheet pan? A quarter sheet is 13″x9″. Can frozen (thawed) strawberries be substituted for the fresh ones? What a perfect spring cake! My daughter and I absolutely love strawberries! I think this will be a perfect cake for her and I to make together. Thank you so much for this! I can’t wait to taste it! I sure hope y’all will enjoy it!! It’s one of my favorites! Can I make this a day ahead of time? If so, should I refrigerate it or can I leave it on the counter for a day? Absolutely! I usually keep it refrigerated and take it out about an hour before serving. Tess, I typically use a pan that has a plastic lid. But I think you did perfectly with the toothpicks. Great idea! My 6 year old son always asks for a strawberry cake for his birthday-and I love that he asks even though it’s usually a pink cake! He knows what he likes! I used your recipe this year and we all loved it. The frosting was wonderful! 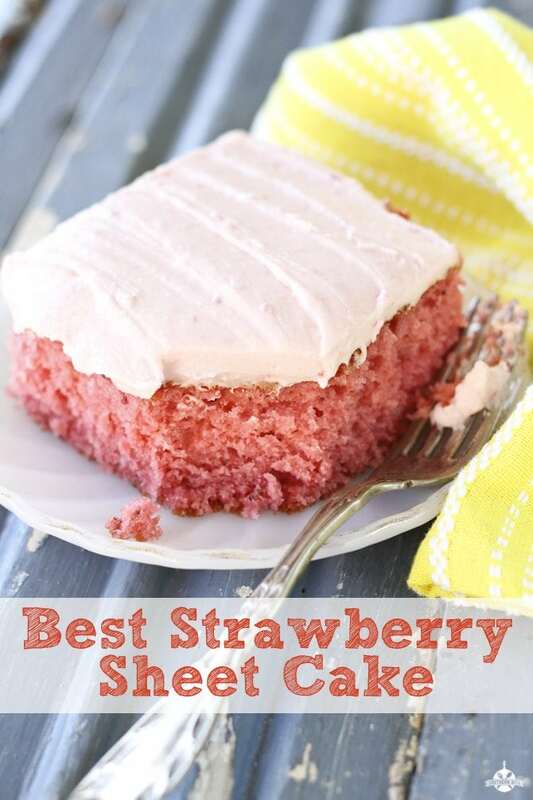 This is my new favorite strawberry cake recipe, thanks for sharing! I couldn’t ask for a better compliment!! Could I do the same thing with other fruit. I want to make a rainbow cake with food coloring. I also each layer to be a different flavor. I want the flavors to be pineapple, lemon, strawberry, apple .lime, orange. and cranberry . would it be possible to change the fruit and jello to match. That’s quite ambitious! Soft, juicy fruits like strawberries and pineapple should work just fine. I’m not sure that apples and cranberries would work, though. This is THE best cake! The first time I made it was Father’s Day and both my husband and my son ate 2 pieces – a piece!! The cake is super moist and the frosting has got the best flavor. I have made at least 6 times and have one in the frig to take to Tennessee tomorrow!! Nothing makes me happier than comments like this one! So glad y’all are enjoy the recipe, Carolyn! Does this cake work well to pop out of the pan and place it on a board so I can decorate the sides and the top? It’s a dense cake, but should work for you like that. Would it turn out the same if i made it into cupcakes instead? Thanks! How full should you fill each cupcake section? Between 1/2 and 2/3 full. Can I make the cake and freeze without frosting. I have a lot of things to make for my garden club’s May luncheon and this would save me a little time. Absolutely! That should work just fine. My daughter asked for strawberry cake for her birthday this year. I found this recipe on Pinterest and decided to test it out before making it for the party. Our family of 3 devoured the 9×13 size in just a few days. Truth be told, I think it was gone in 2 days. So yummy and moist with that decadent cream cheese frosting! I was able to easily double the recipe and bake a half sheet size to feed the hungry ballet dancer at the birthday party. 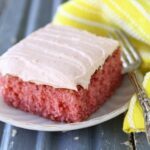 This will always be my go to recipe when we want a strawberry cake!! I’m honored to hear my recipe was used for such a special occasion and delighted that you all enjoyed it so much! Happy Birthday to your daughter!! Regarding the lady who covered her cake with plastic wrap and had “sticking” problems…..just stick a mini marshmallow on top of the toothpick before inserting into the cake. Great idea!! Thanks for the tip! If I made this as cupcakes, how long and at what temp would I bake them? I can’t say exactly, but cupcakes usually bake in around 15 to 20 minutes. Where is your Pin button? They are temporarily disabled for a security reason, but we will get them back up ASAP.